Astonish your mother by sending this Mothers Day gift of Amazing Gifts for a Special Mother that will definitely create a life long impression upon the heart of your mother. This gift contains 1 Kg. 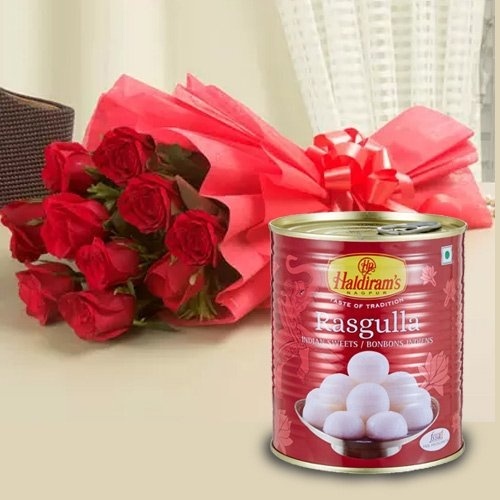 Rasgulla from Haldiram or Reputed Sweets Shop with 12 Red Roses.